This special edition contains a foreword by the film's director and screenwriter, Roger Michell Orphaned at an early age, Philip Ashley is raised by his benevolent cousin, Ambrose. Resolutely single, Ambrose delights in making Philip his heir, knowing he will treasure his beautiful Cornish estate. But Philip's world is shattered when Ambrose sets off on a trip to Florence. There he falls in love and marries - and then dies suddenly in suspicious circumstances. 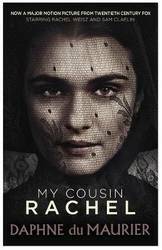 Before long, the new widow - Philip's cousin Rachel - arrives in England. Despite himself, Philip is drawn to this beautiful, mysterious woman. But could she have caused Ambrose's death? 'There was a smell in the air of tar and rope and rusted chain, a smell of tidal water. Down harbour, around the point, was the open sea. Here was the freedom I desired, long sought-for, not yet known. Freedom to write, to walk, to wander, freedom to climb hills, to pull a boat, to be alone . . . I for this, and this for me.' 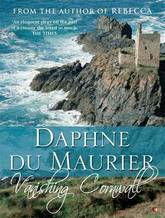 Daphne du Maurier lived in Cornwall for most of her life. Its rugged coastline, wild terrain and tumultuous weather inspired her imagination, and many of her works are set there, including Rebecca, Jamaica Inn and Frenchman's Creek. In Vanishing Cornwall she celebrates the land she loved, exploring its legends, its history and its people, eloquently making a powerful plea for Cornwall's preservation. Prior to the publication of this biography, the elusive Anthony Bacon was merely glimpsed in the shadow of his famous younger brother, Francis. A fascinating historical figure, Anthony Bacon was a contemporary of the brilliant band of gallants who clustered round the court of Elizabeth I, and he was closely connected with the Queen's favourite, the Earl of Essex. 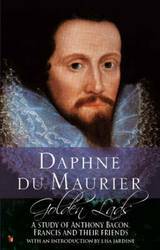 He also worked as an agent for Sir Francis Walsingham, the Queen's spymaster, living in France where he became acquainted with Henri IV and the famous essayist Michel de Montaigne. 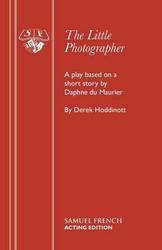 It was in France that du Maurier discovered a secret that, if disclosed during Bacon's lifetime, could have put an end to his political career . 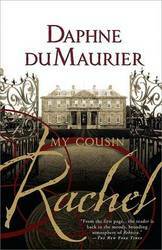 . . Du Maurier did much to shed light on matters that had long puzzled historians, and, as well as a consummate exercise in research, this biography is also a strange and fascinating tale. 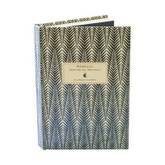 A true classic of suspense in a beautiful new package for a whole new generation of readers. The coachman tried to warn her away from the ruined, forbidding place on the rainswept Cornish coast. 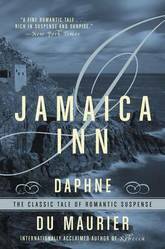 But young Mary Yellan chose instead to honor her mother's dying request that she join her frightened Aunt Patience and huge, hulking Uncle Joss Merlyn at Jamaica Inn. From her first glimpse on that raw November eve, she could sense the inn's dark power. But never did Mary dream that she would become hopelessly ensnared in the vile, villainous schemes being hatched within its crumbling walls -- or that a handsome, mysterious stranger would so incite her passions ... tempting her to love a man whom she dares not trust. From the gothic story by Daphne du Maurier. 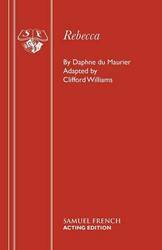 The highly anticipated reissue of the du Maurier classics American fans have been waiting for "Daphne du Maurier has no equal." 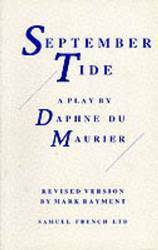 Sunday Telegraph As civil war rages across England, the weak prove their courage and the privileged become traitors In this sweeping, bittersweet saga, spellbinding author Daphne du Maurier recreates a most memorable and true love story. Honor Harris was glorious and vivacious. Sir Richard Grenville was a dashing colonel and a knight. They meet on the evening of her eighteenth birthday at the Duke of Buckingham's great ball and fall deeply in love. Soon afterward tragedy strikes and they are separated by betrayal and war. 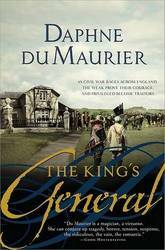 Decades later, an undaunted Sir Richard, now a general serving King Charles I, finds her. Finally they can share their passion in the ruins of a great estate on the storm-tossed Cornish coastÃÂone last time before being torn apart, never to embrace again. 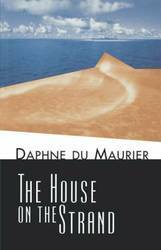 In this haunting tale, Daphne du Maurier takes a fresh approach to time travel. A secret experimental concoction, once imbibed, allows you to return to the fourteenth century. There is only one catch: if you happen to touch anyone while traveling in the past you will be thrust instantaneously to the present. Magnus Lane, a University of London chemical researcher, asks his friend Richard Young and Young's family to stay at Kilmarth, an ancient house set in the wilds near the Cornish coast. Here, Richard drinks a potion created by Magnus and finds himself at the same spot where he was moments earlier-though it is now the fourteenth century. The effects of the drink wear off after several hours, but it is wildly addictive, and Richard cannot resist traveling back and forth in time. Gradually growing more involved in the lives of the early Cornish manor lords and their ladies, he finds the presence of his wife and stepsons a hindrance to his new-found experience. Richard eventually finds emotional refuge with a beautiful woman of the past trapped in a loveless marriage, but when he attempts to intervene on her behalf the results are brutally terrifying for the present. Echoing the great fantastic stories of H. P. Lovecraft and Edgar Allan Poe, The House on the Strand is a masterful yarn of history, romance, horror, and suspense that will grip the reader until the last surprising twist. 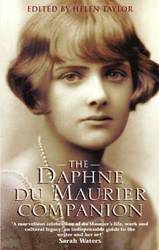 The lost stories of Daphne du Maurier, collected in one volume for the first time. 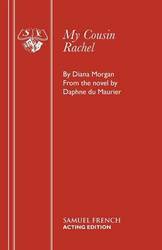 Before she wrote Rebecca, the novel that would cement her reputation as a twentieth-century literary giant, a young Daphne du Maurier penned short fiction in which she explored the images, themes, and concerns that informed her later work. Originally published in periodicals during the early 1930s, many of these stories never found their way into print again . . . until now. Tales of human frailty and obsession, and of romance gone tragically awry, the thirteen stories in The Doll showcase an exciting budding talent before she went on to write one of the most beloved novels of all time. 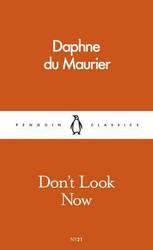 In these pages, a waterlogged notebook washes ashore revealing a dark story of jealousy and obsession, a vicar coaches a young couple divided by class issues, and an older man falls perilously in love with a much younger womanÂwith each tale demonstrating du MaurierÂs extraordinary storytelling gifts and her deep understanding of human nature. Someone jolted my elbow as I drank and said, 'Je vous demande pardon,' and as I moved to give him space he turned and stared at me and I at him, and I realized, with a strange sense of shock and fear and nausea all combined, that his face and voice were known to me too well. I was looking at myself. Two men-one English, the other French-meet by chance in a provincial railway station and are astounded that they are so much alike that they could easily pass for each other. Over the course of a long evening, they talk and drink. It is not until he awakes the next day that John, the Englishman, realizes that he may have spoken too much. His French companion is gone, having stolen his identity. For his part, John has no choice but to take the Frenchman's place-as master of a chateau, director of a failing business, head of a large and embittered family, and keeper of too many secrets. Loaded with suspense and crackling wit, The Scapegoat tells the double story of the attempts by John, the imposter, to escape detection by the family, servants, and several mistresses of his alter ego, and of his constant and frustrating efforts to unravel the mystery of the enigmatic past that dominates the existence of all who live in the chateau. 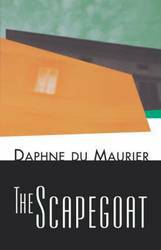 Hailed by the New York Times as a masterpiece of artfully compulsive storytelling, The Scapegoat brings us Daphne du Maurier at the very top of her form. 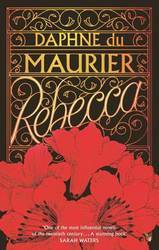 Classic / British English After the death of his beautiful wife Rebecca, Maxim de Winter goes to Monte Carlo to forget the past. 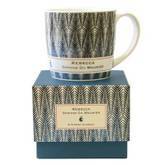 There he meets and marries a quiet young woman and takes her back to Manderley, his family home in Cornwall. But will the memory of Rebecca destroy the new marriage? 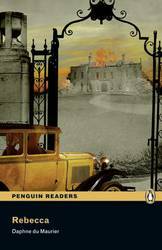 Last night I dreamt I went to Manderley again . . . 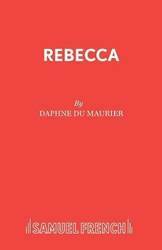 Working as a lady's companion, the orphaned heroine of Rebecca learns her place. Life begins to look very bleak until, on a trip to the South of France, she meets Maxim de Winter, a handsome widower whose sudden proposal of marriage takes her by surprise. Whisked from glamorous Monte Carlo to his brooding estate, Manderley, on the Cornish Coast, the new Mrs de Winter finds Max a changed man. 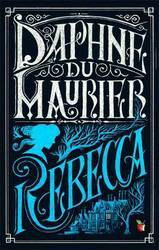 And the memory of his dead wife Rebecca is forever kept alive by the forbidding Mrs Danvers . 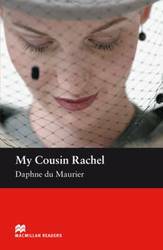 . . Not since Jane Eyre has a heroine faced such difficulty with the Other Woman. 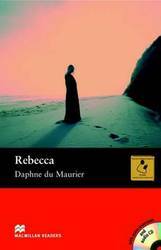 An international bestseller that has never gone out of print, Rebecca is the haunting story of a young girl consumed by love and the struggle to find her identity. When her mother dies, Mary Yellan makes the grim journey across bleak Cornish moorland to Jamaica Inn, the home of her Aunt Patience and her husband, Joss Merlyn. On arriving at the gloomy, threatening inn, with the coachman's warning echoing in her mind, she finds her aunt a cowering shadow, and her uncle a hulking, vicious brute. Even more alarming, Jamaica Inn has no guests and is never open to the public. Mary finds herself powerless to help her aunt, and is drawn unwillingly into the misdeeds of Joss and his accomplices. Even more disturbing are her feelings for Jem, a man she dare not trust . 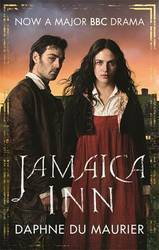 . . Jamaica Inn is a dark and gripping gothic tale that will remind readers of two other great classics, Jane Eyre and Wuthering Heights.